Australia is an adventurer’s dream. Between beautiful beaches, towering mountain ranges and rugged deserts, you could spend years and years exploring Australia’s unique terrain. And while you could explore via paved roads, Australia offers some of the best four-wheel drive tracks in the world. To help inspire you to get off the beaten track, we’ve put together a list of the top five 4WD trails in the country. 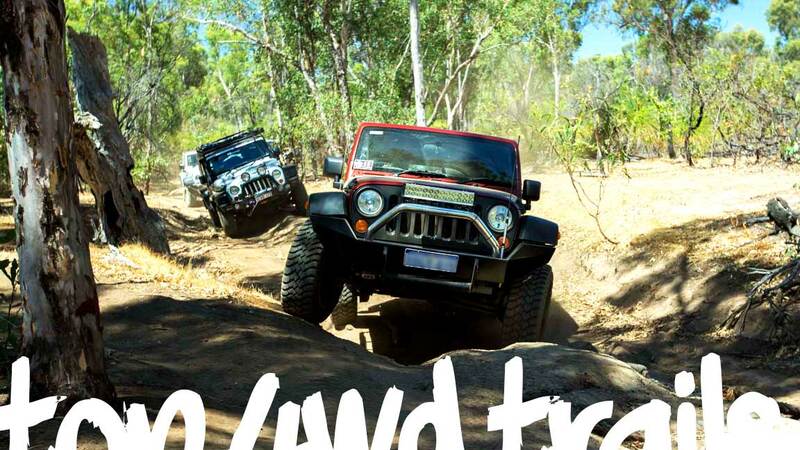 Whether you’re looking for a new challenge or you just want to get your new 4WD toy a little dirty, Australia has a 4WD track for you. Originally a cattle route, the Birdsville Track is one of the most famous outback tracks. It passes through Sturt Stony Desert and was once too remote and dangerous for travellers. Thanks to modern technology, however, you can now drive this desert track and see derelict ruins, isolated homesteads and stunning desert landscapes. And when you reach the end of the track, you can reward yourself with a cold drink at the famous Birdsville Hotel bar. Known as the world’s most remote 4WD track, the Canning Stock Route is both challenging and rewarding. The track traverses several deserts (Gibson, Little Sandy and Great Sandy) and expansive Aboriginal lands. As you drive, you’ll climb over large sand dunes, stone patches and saltpans. If solitude is what you desire, the Canning Stock Route is for you. Gibb River Road offers some of the most diverse scenery of all the routes on this list. This track plunges you into the heart of the Kimberley region, where you’ll see cascading waterfalls, refreshing swimming holes and savanna grasslands. While this route is remote, it is extremely popular. If you want to avoid the crowds, travel in early April or late October. Binns Track is perfect if you’re looking for adventure, history and a little bit of a challenge. Its jagged rock, sandy slopes and soft riverbeds will challenge even the best drivers and tyres. But don’t let the tough terrain deter you-its mountain vistas, vast plains and historical landmarks are well worth the drive. Looking for something other than an Outback adventure? Head to the Victorian High Country, where you can explore mountain peaks and take in stunning panoramic views. You’ll find a number of abandoned mining towns along the route, which are perfect for exploring if you need a break from driving. The Victorian High Country is also famous for its walking trails, which means you can spend 1-2 weeks in the area and not run out o f things to do. Whether you drive south to Birdsville or take on the Alps in Victoria, take your vehicle to a suspension centre before your next 4WD adventure. Before you head out, you’ll want to make sure your 4WD vehicle is in good shape and ready to take on the Australian wilderness.